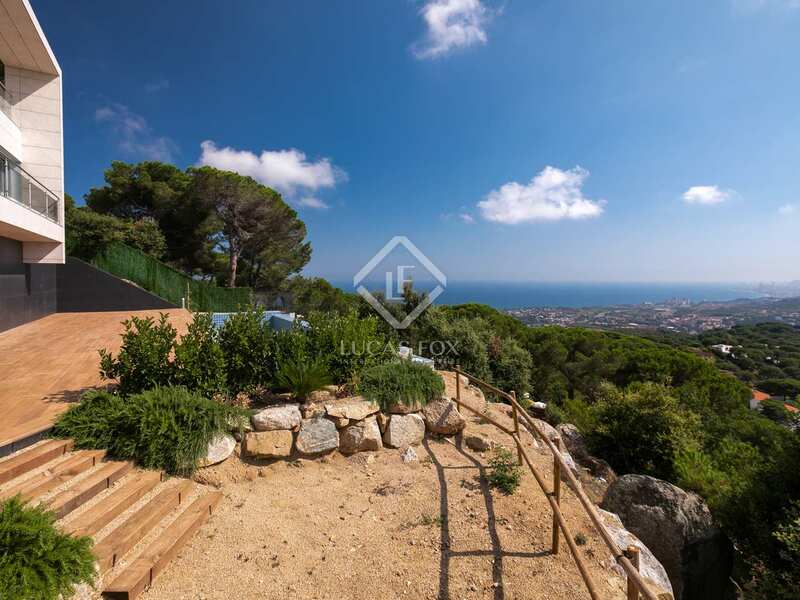 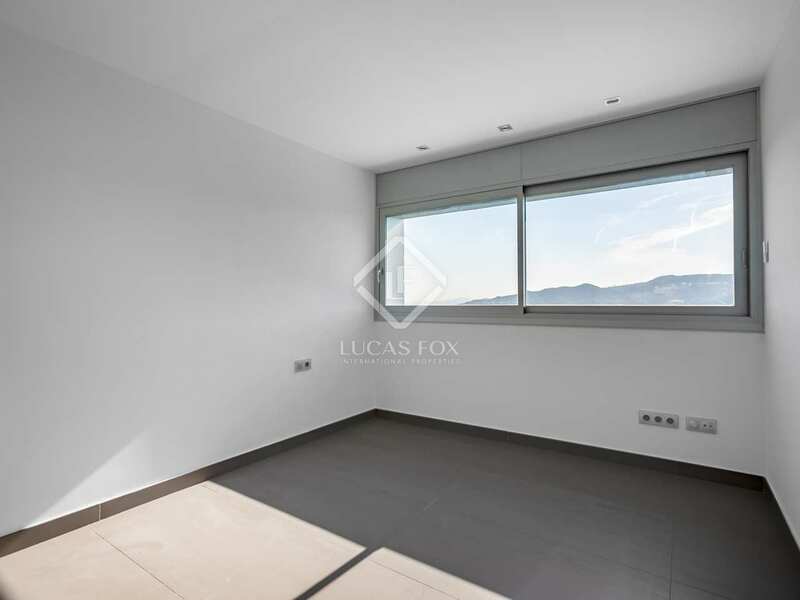 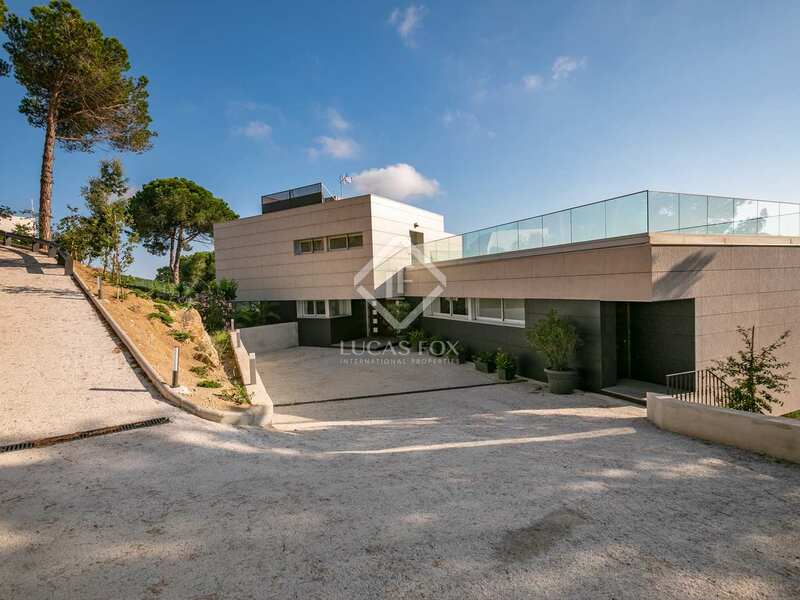 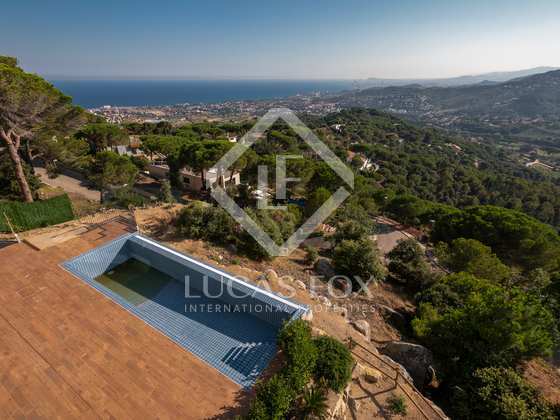 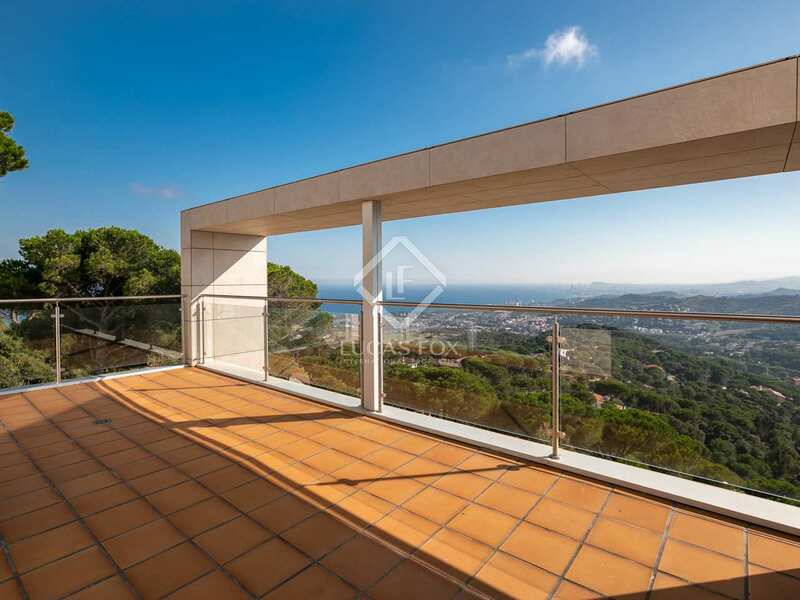 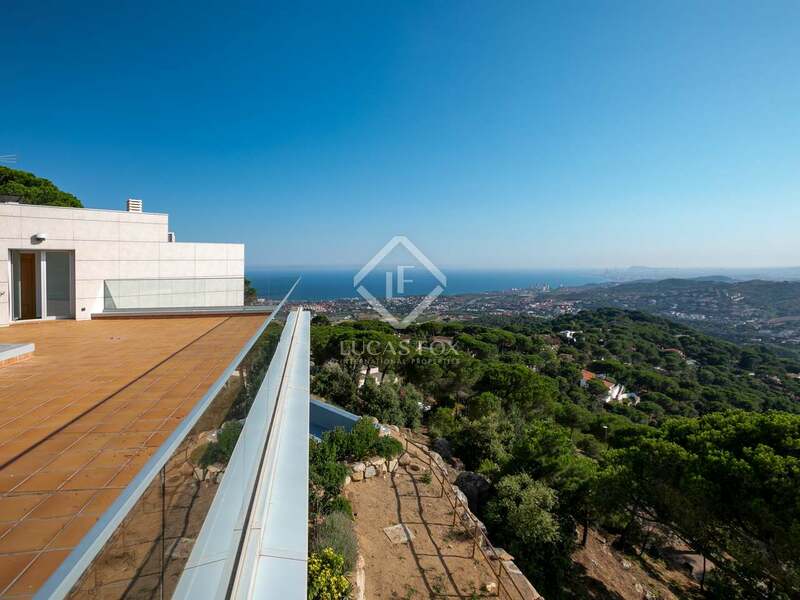 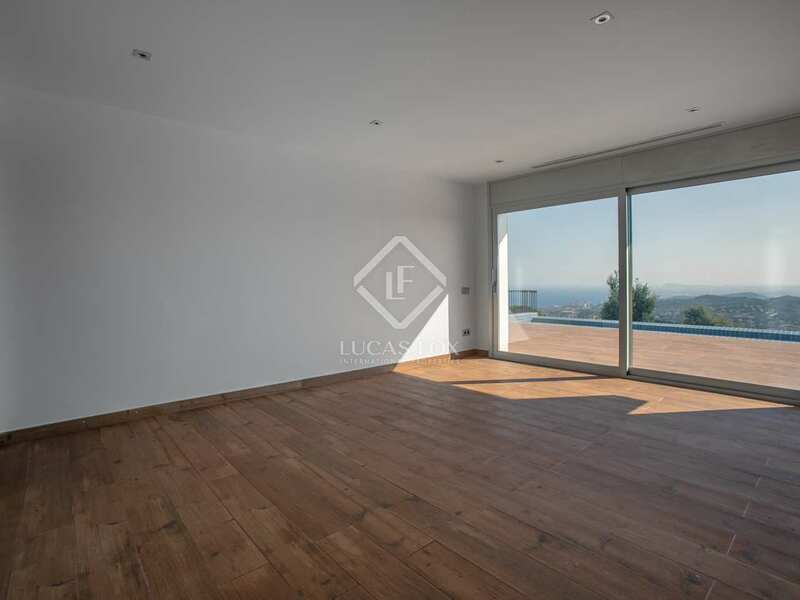 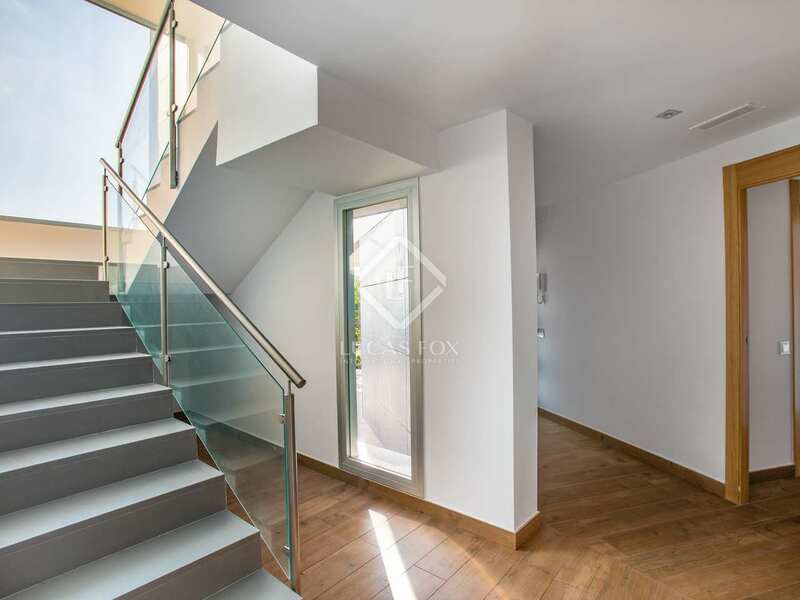 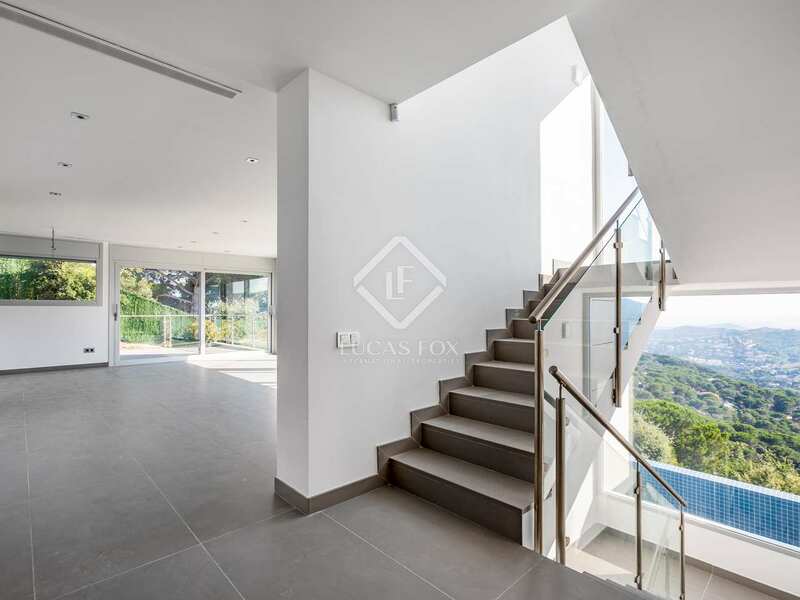 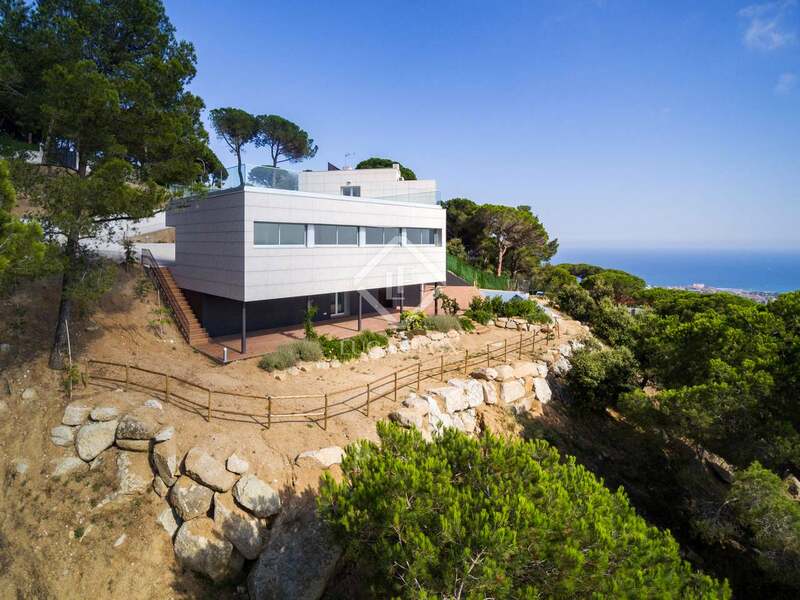 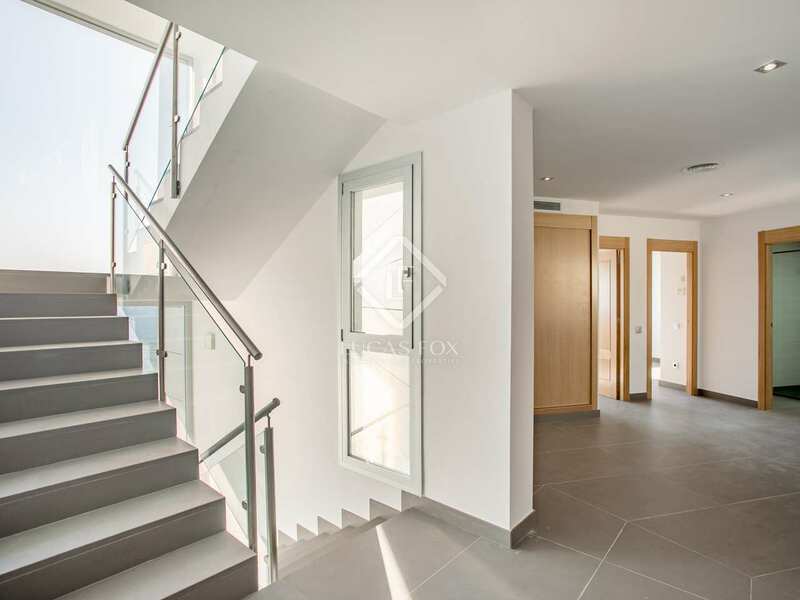 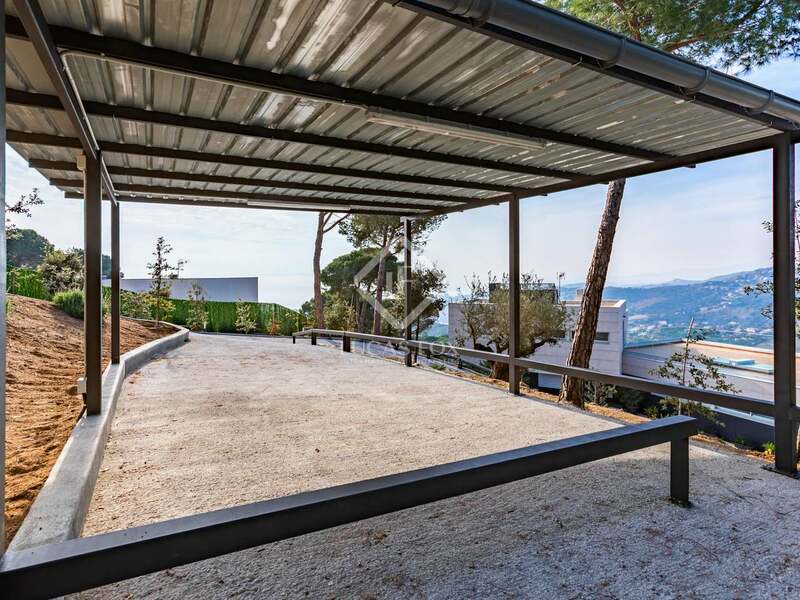 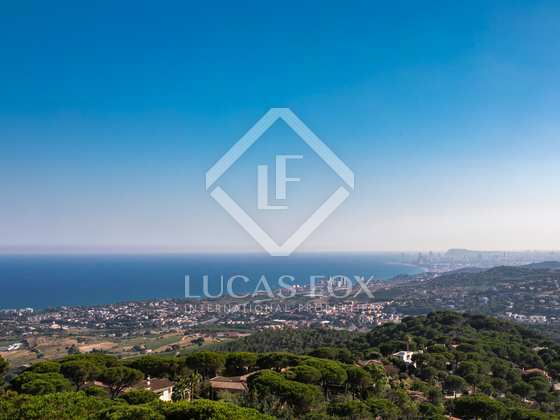 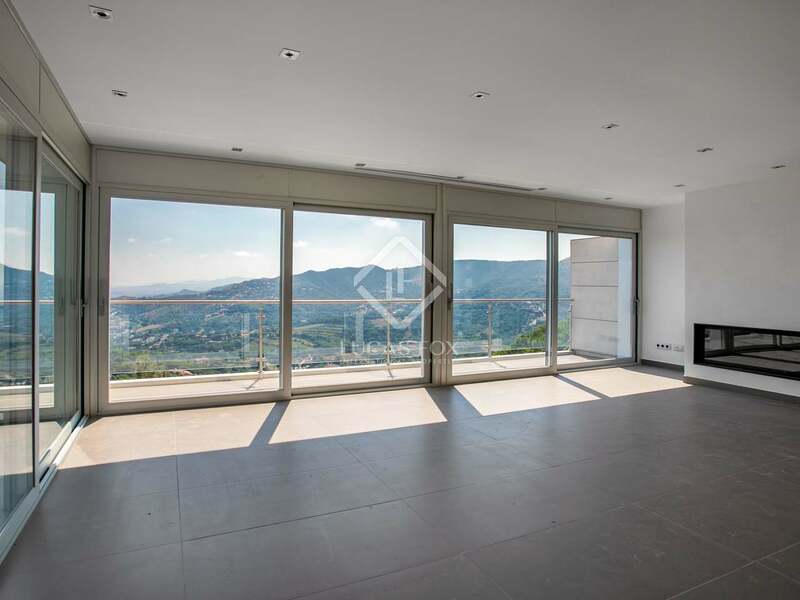 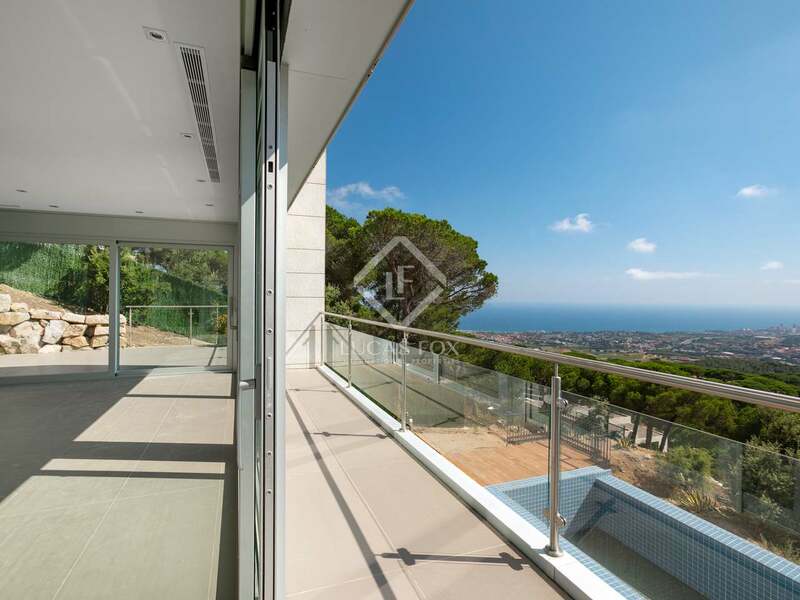 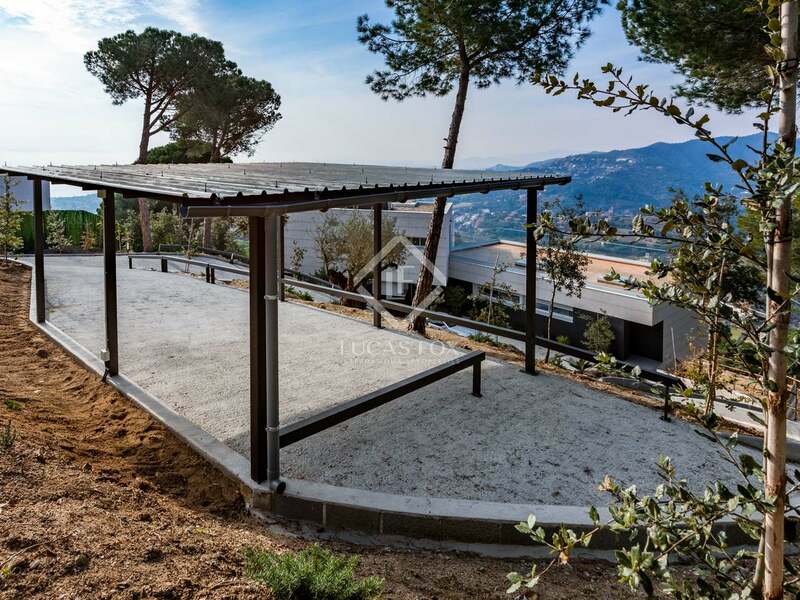 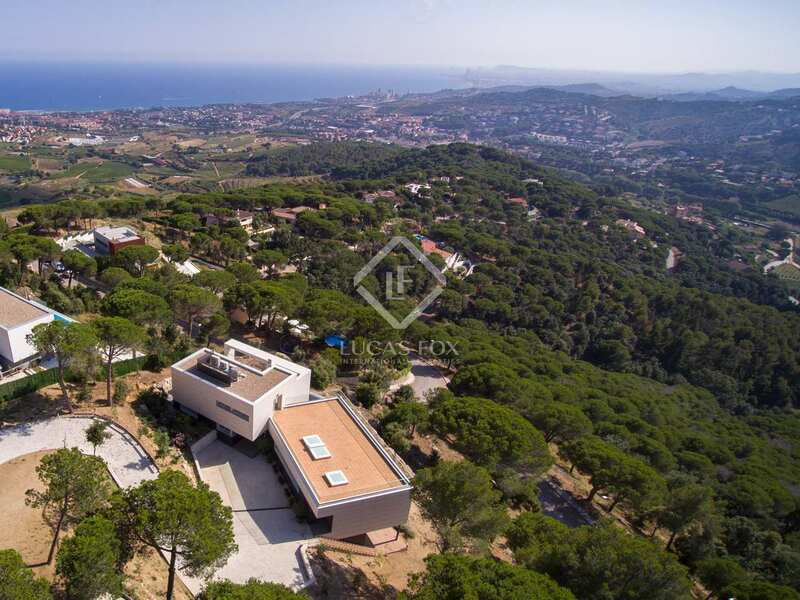 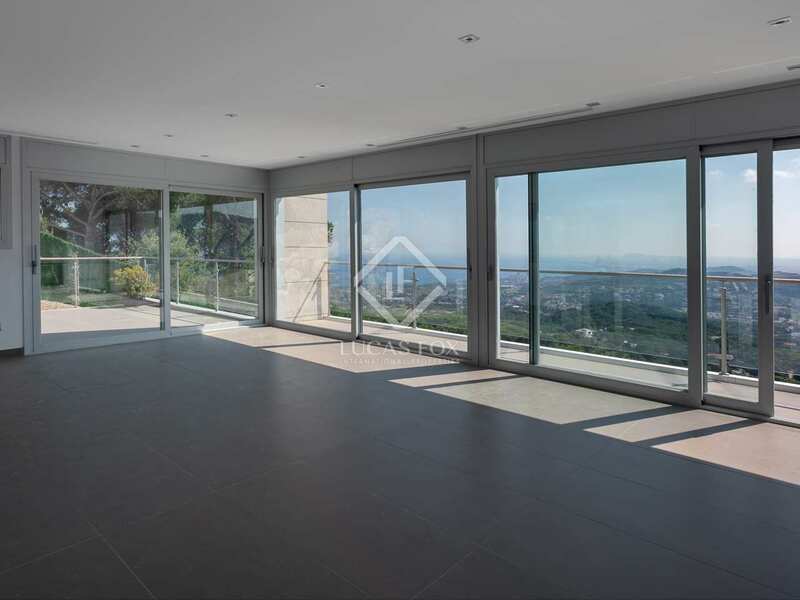 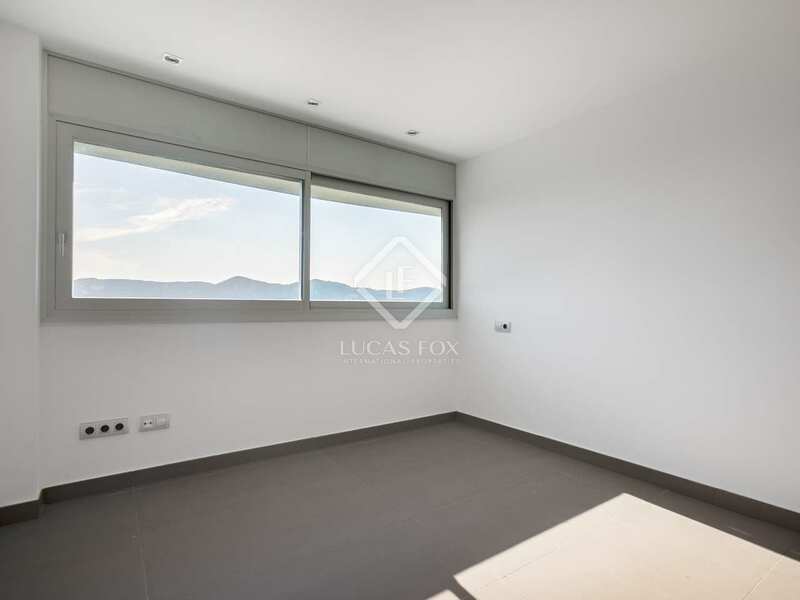 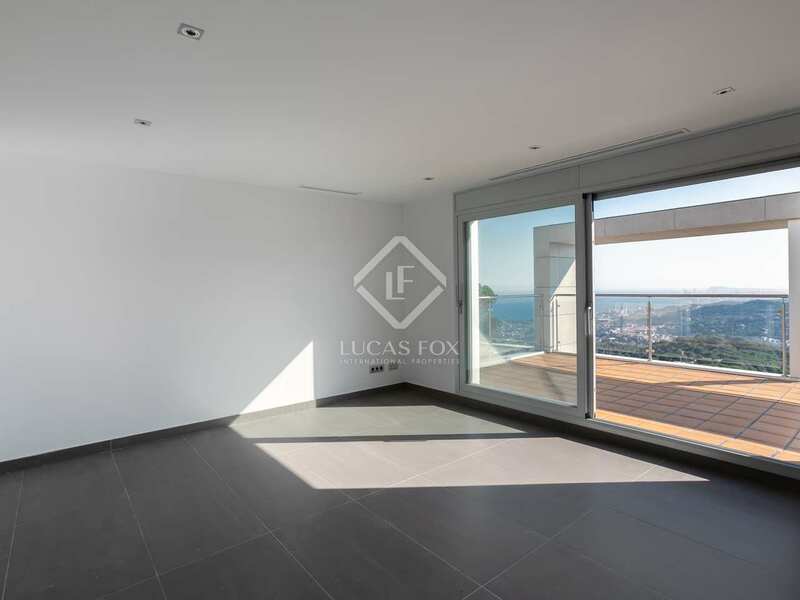 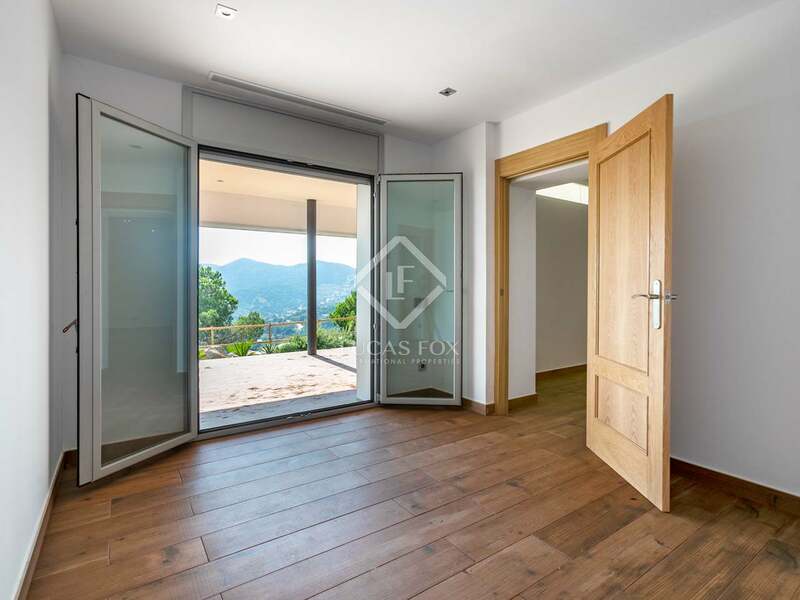 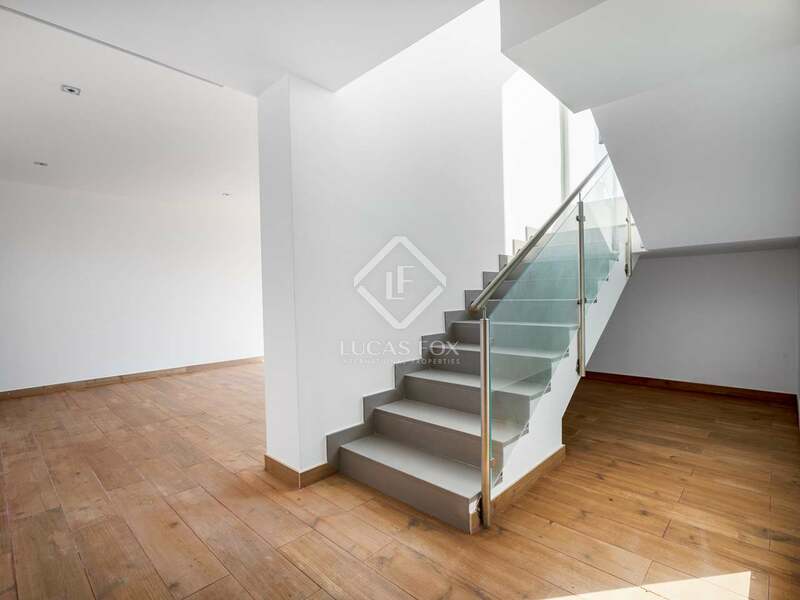 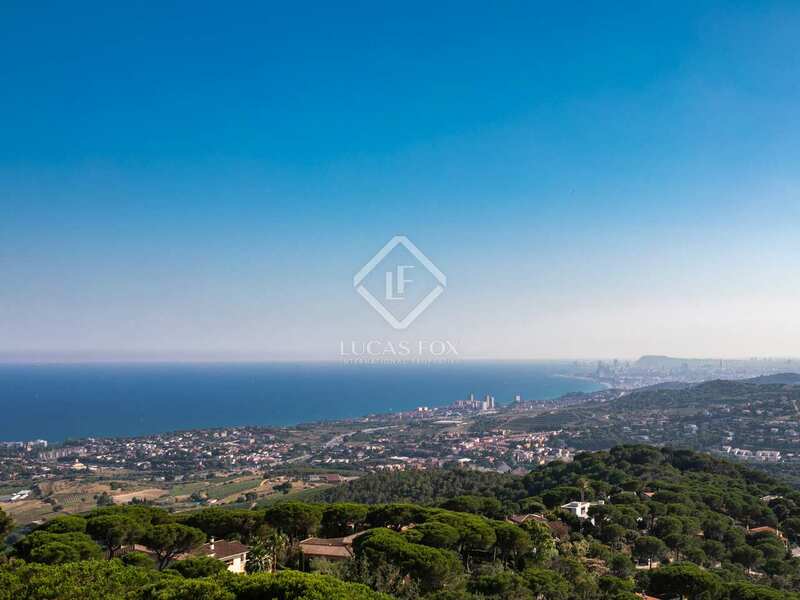 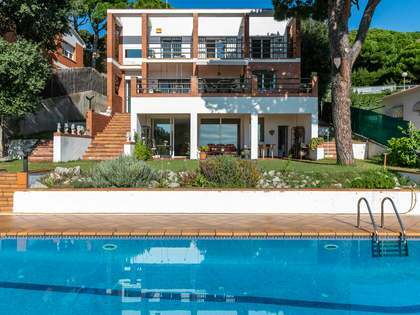 Brand new contemporary villa with spectacular views of the sea and Barcelona for rent in Alella, just a few minutes' drive from the town centre and amenities. 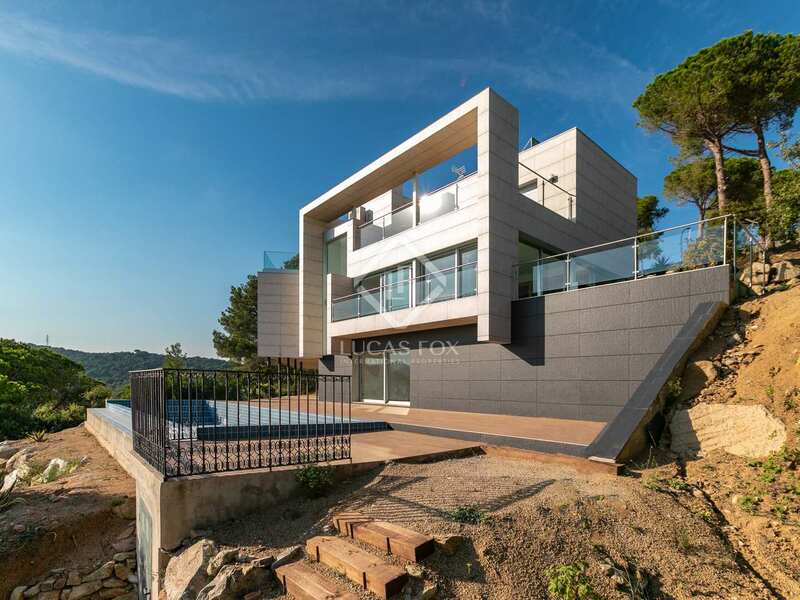 The villa is distributed over 3 levels. 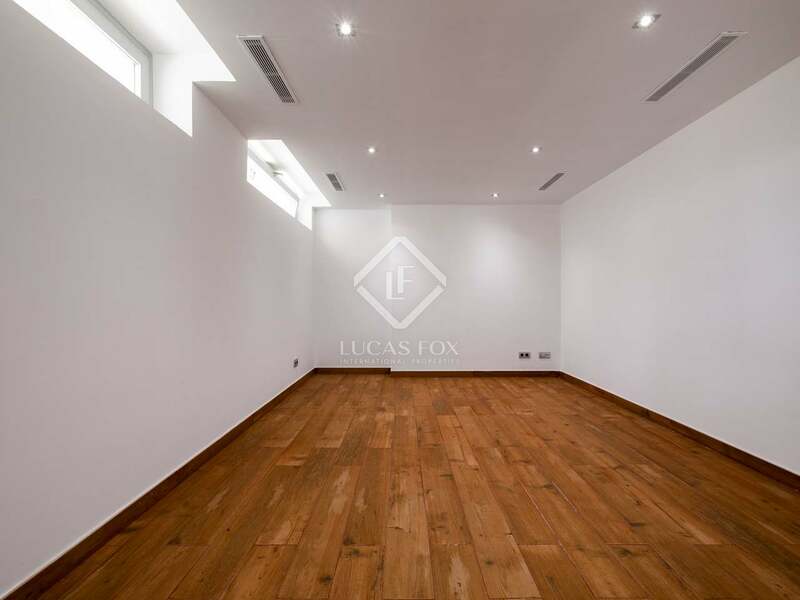 On the upper ground floor we find the entrance hall followed by the spacious living/dining room with a log fireplace and incredible views through the floor-to-ceiling windows. 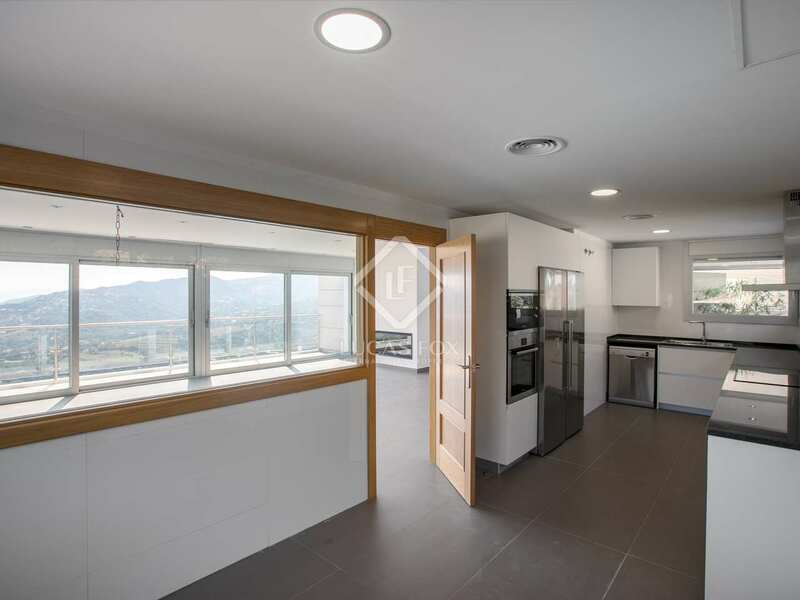 The modern fully equipped kitchen is separate and there are 4 double bedrooms and 2 bathrooms also on this floor. 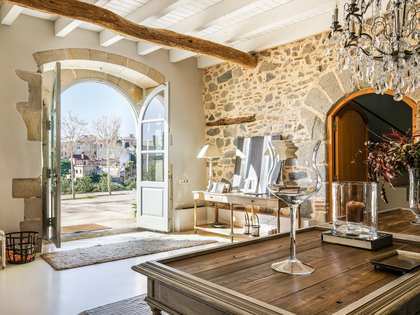 The master bedroom suite with its dressing room, bathroom and private terrace are found on the first floor, along with another terrace. 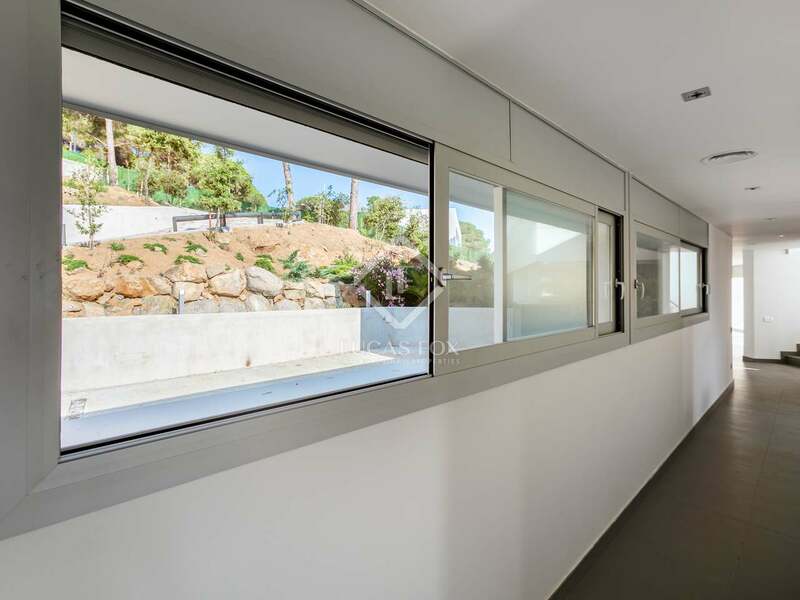 The lower ground floor offers a secondary living room with doors to the pool area, a bathroom and a large multipurpose space. 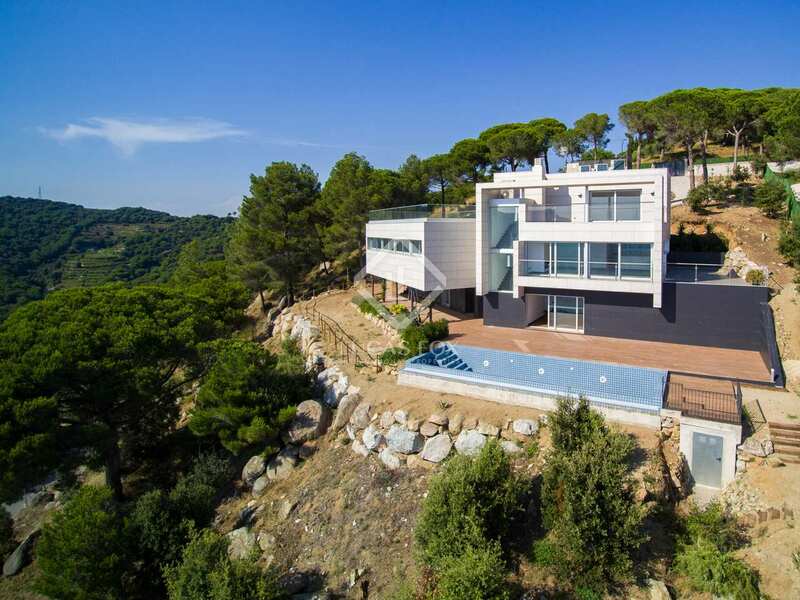 Additional cutting-edge features of this high-end home include the underfloor heating, centralised air conditioning, high-quality aluminum windows with electric blinds and a ventilated façade for lower energy consumption. 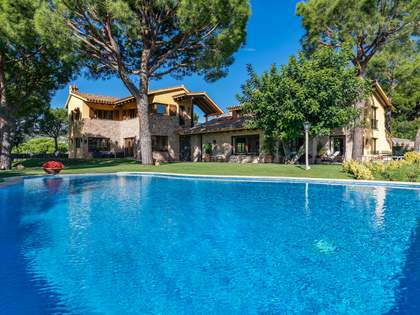 Outside we find the wonderful infinity pool, the rest of the garden and a parking area to the front of the property. 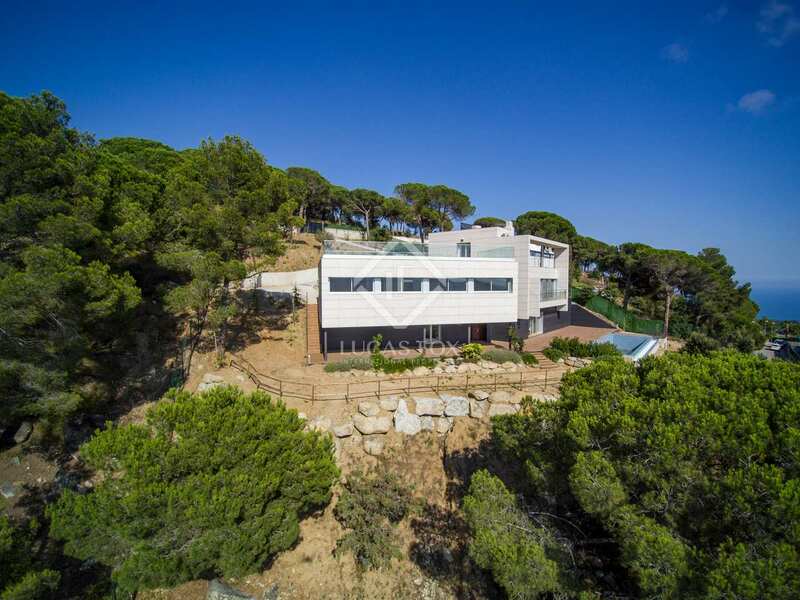 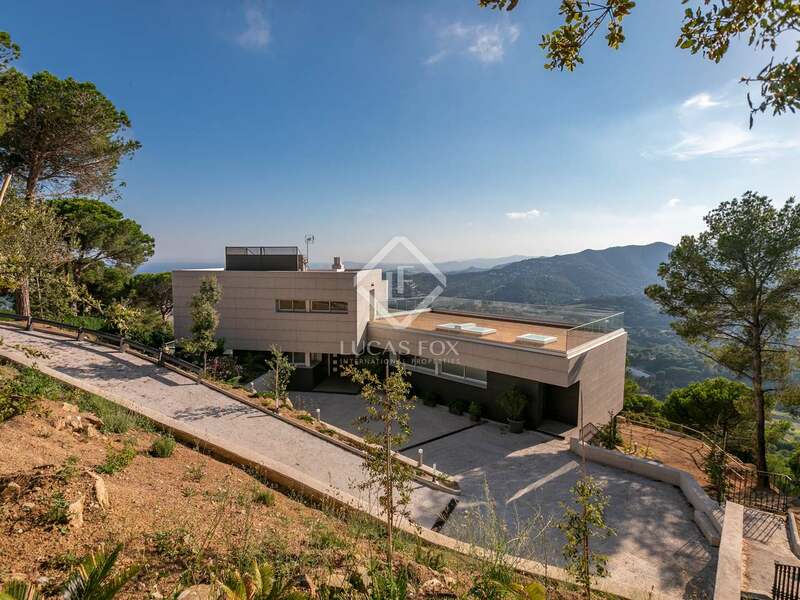 Modern luxury next to the Serralada Litoral Natural Park with its walking and biking trails ad Barcelona just 20 minutes away by car. 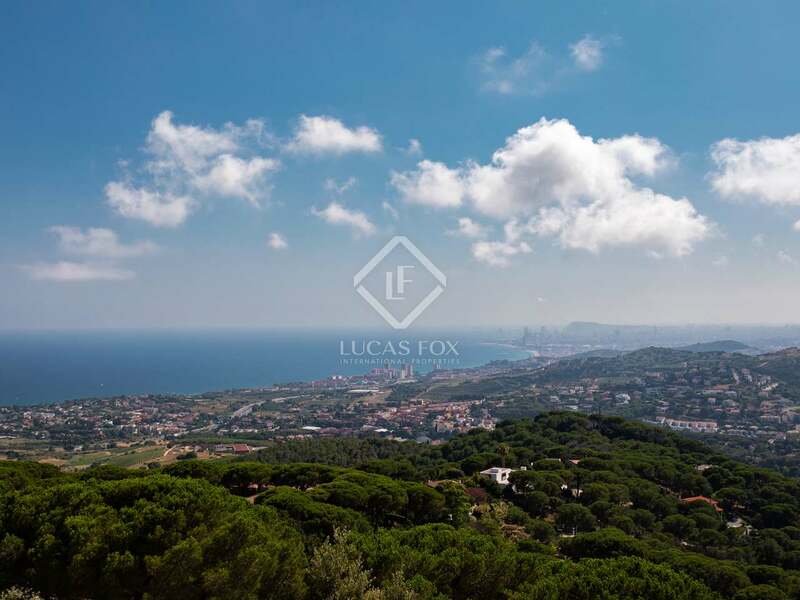 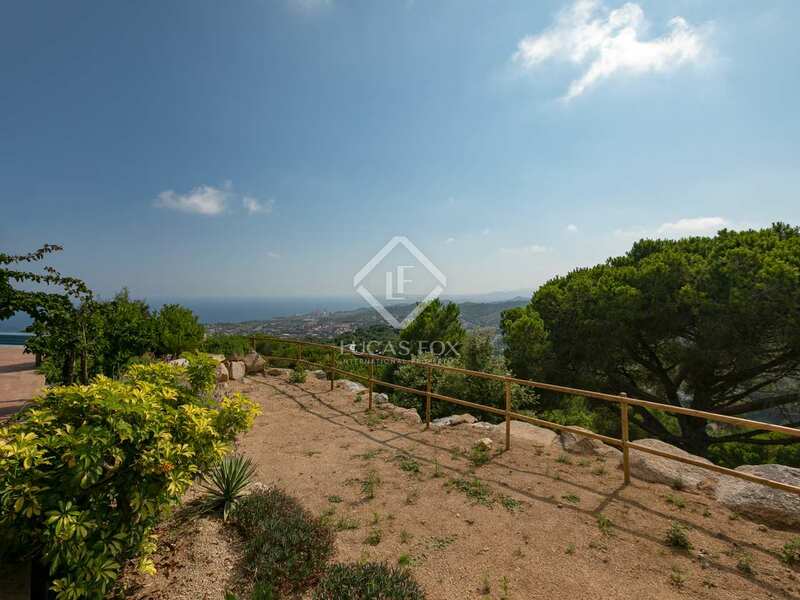 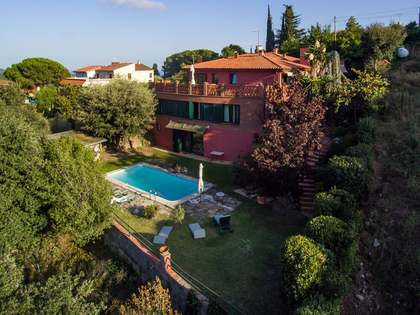 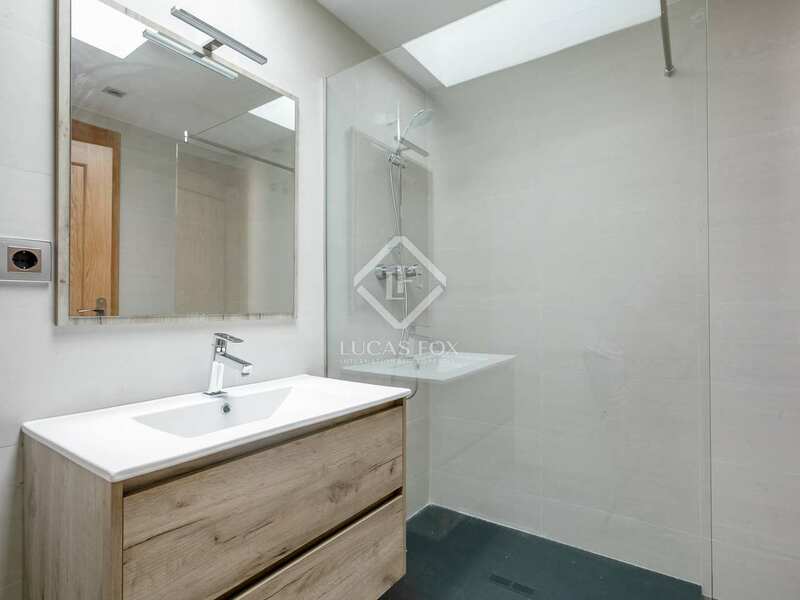 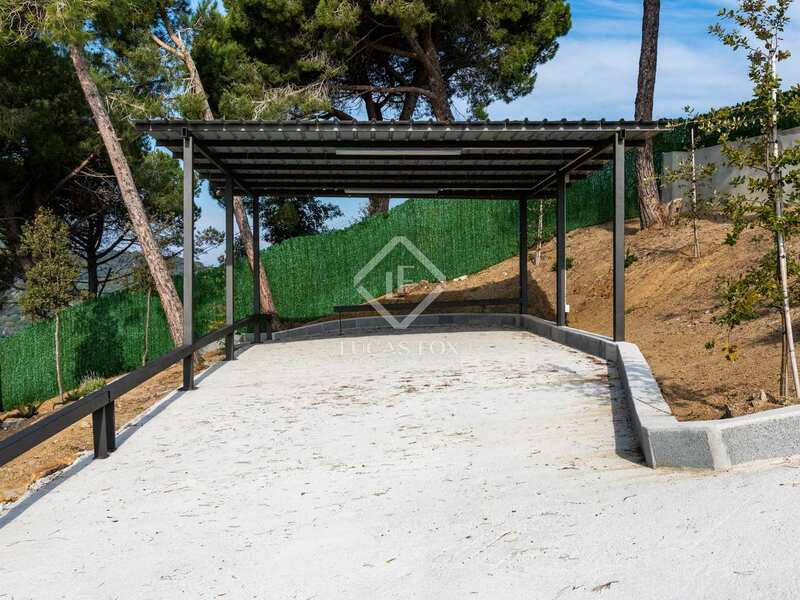 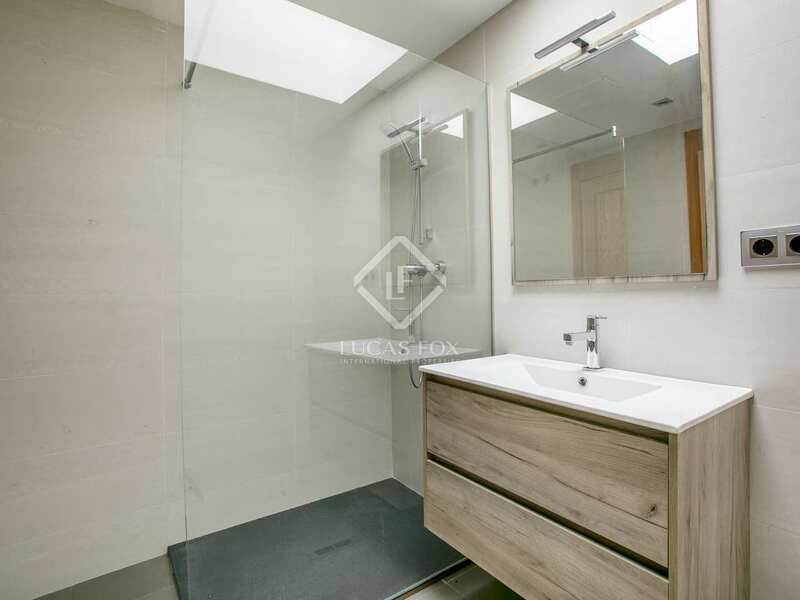 This property is located just a few minutes' drive from the centre of Alella on a street with no passing traffic. 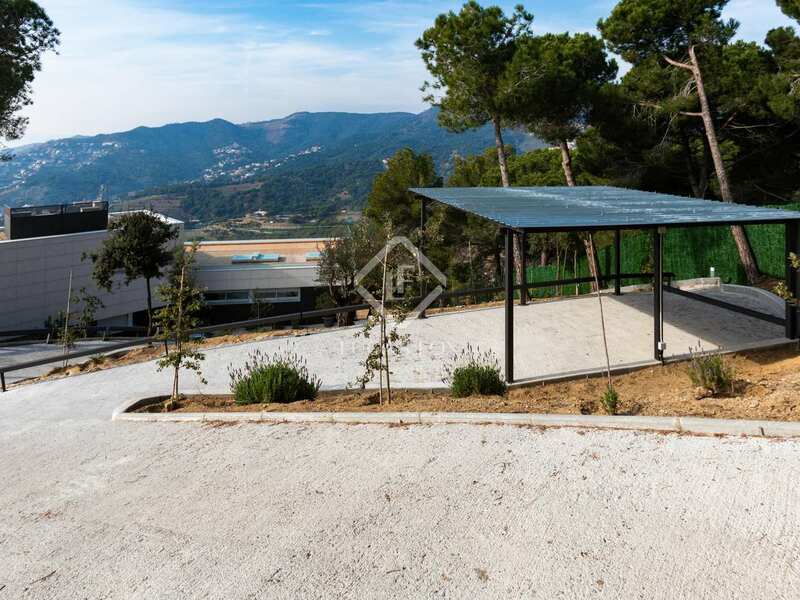 It is very quiet and peaceful, next to the Serralada Litoral Natural park with its walking and biking trails, just a 20-minute drive from the centre of Barcelona.